An assault charge against Bill Flower was dropped after he agreed to a peace bond and a letter of apology. Flower was accused of smearing Lunenburg&apos;s mayor with sludge from the town&apos;s harbour. On May 28, the same day he was to go to trial on the charge, Flower entered into a one-year, $100 non-cash bond. 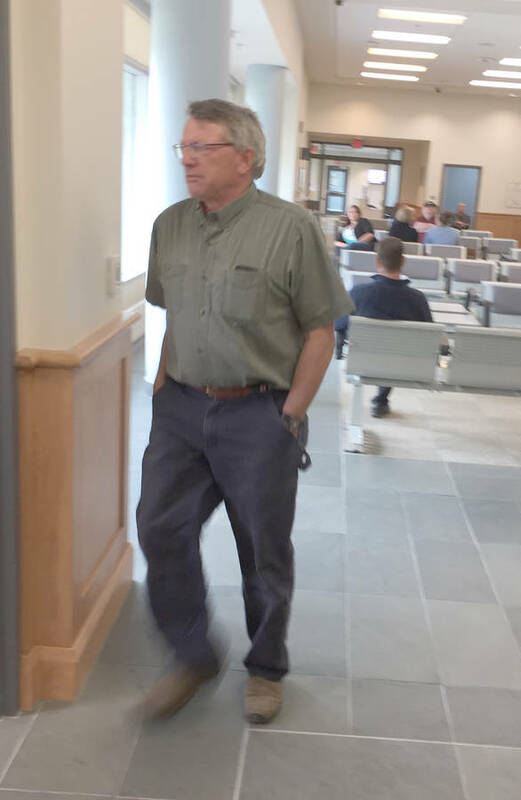 The bond includes conditions that he stay away from Lunenburg Mayor Rachel Bailey, her place of residence and employment unless he has her express consent, which can be withdrawn at any time. Flower&apos;s lawyer, Mark Taylor, told court the resolution of the matter generated from conversations with the Crown during the previous week or so. It was alleged Flower, 57, who lives in Blue Rocks, assaulted Bailey in August 2017. The charge arose from an apparent confrontation between Flower and the mayor over the state of the town&apos;s harbour. Flower has been vocal with his opinion about the harbour&apos;s health and has been quoted in many media stories concerning the issue. "I&apos;d just like to make it clear that I had no intention of ever going near the mayor. The mayor did come to me," Flower said in court, before Judge Paul Scovil cut him off, saying the matter required no further explanation. Commenting later to LighthouseNOW, Flower alleges Bailey wanted him to change wording in the letter of apology to "wiping a brown substance on her" from "wiping sludge. "Does she really believe it not to be sewage? In all of her statements to the police she stated I wiped sludge on her, but now it must be called brown slime? How totally stupid," he said in an email. Flower suggested time and money could have been better spent dealing with a sewage issue rather than the resources dedicated to putting the matter through the legal system. Bailey was present at the courthouse, but didn&apos;t come in the courtroom when Flower&apos;s case was called. Bailey at one point released a statement about the incident saying "another person participating in the exchange put his hands on me in a manner that is unacceptable" on Lunenburg&apos;s waterfront. "I would simply like to say that I am pleased that we were able to reach a resolution and can now put this incident behind us," Bailey told LighthouseNOW in an email. "I am also grateful for all the support I received regarding this matter over the months following."